If you sell items online whether on Amazon, eBay or on your own store. You have to always try to improve something called Conversion Rate Optimization or in simple words how much is your ability to convert your store visitors into actual buyers. In fact there are many online selling techniques that professional sellers use to boost their sales. In this post I will reveal only 18 powerful selling techniques that sure will help optimize your conversion rate and increase revenue. So let’s see these selling techniques. 1) Make separated page for every product on you store. This is important for SEO. 2) Do not use the manufacture or supplier product’s description, instead write your own one. This makes you unique and it is also good for SEO. While you can benefit from the supplier’s description, but try to avoid lazy copy-paste work. 3) Encourage users to review your products. This will give you unique contents and will help other buyer take fast decision toward buying your products. You may also give an incentive to your customers to write reviews of products they bought. 4) Try to Use easy and not complicated shopping cart system. Make your shopping cart straight forward so that your customers feel happy when checking out. 5) Analyze your customers performance on your store using tool like Crazy Egg analytics. 6) Make video that reviews your product. Video sells high. 7) If your product is out of stock – try to record your customer detail and call them back when the product is available. 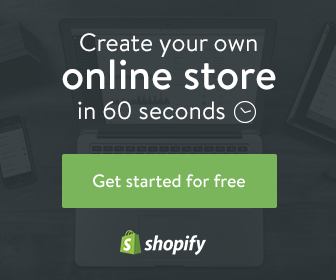 8) Optimize your store speed. The more the speed is the more customers satisfaction you obtain. You can use faster hosting server and try to optimize your store code for better performance. in addition, you can benefit from content delivery network(CDN) to speed your store. If you use wordpress you can install cache plugins. 9) Always monitor what your visitors are searching in your store. And try to improve your site accordingly. Sometimes this information gives you an idea of new product to sell. 10) Having blog is good idea for SEO. 11) Try to use several payment options. 12) Make sure that your checkout page design looks trustworthy. You can benefit from eCommerce trust signs which offer by some companies. This makes your customer feel safe. 13) Offer a money back guarantee. 14) write your address detail to the footer and your sales phone number in the top right corner of each page. So that customers know who you are. 15) If you have a limited budget to build your store. Then try to benefit from the best online shopping carts available nowadays. Read this review of the 5 best eCommerce platforms. 16) Engage with your customers on social media like facebook and twitter. 17) Do not stick with one keyword for each product. Instead look for all possibilities of keywords that users type. This will increase your organic traffic. 18) Use split test to see which works best for your store. split test by the way is a testing method to determine which activity is helpful for your site. for example if you have daily traffic of 1000 visitors, and you want to make split test for your site’s color to decide if green or blue is better for the checkout page. You start by testing the green color for example for a week and then test the blue color for another week and then you see which color performs well. Split test can be applied to many other factors. Finally I am sure there are many other online selling techniques that can increase your store traffic and sales. If you know any of these selling techniques please share it in the comment below. Do not forget to share with friends on social media. This post shows you 18 Selling techniques to boost your sales. the selling tips is very helpful for any online store owner. as I’m adding your RSS feeds to my Google account.